For anyone in the nursing profession, an unforgettable career milestone comes when nursing students take the nurses’ pledge of service. 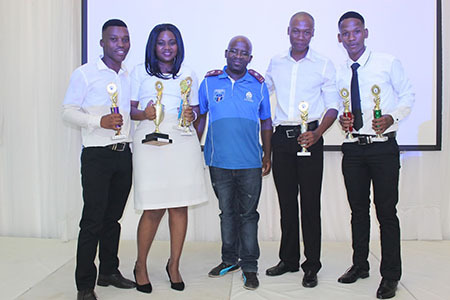 It was with solemnity and reverence that final-year nursing students took part in their oath-taking and awards ceremony at the North-West University’s (NWU) campus in Mahikeng on 17 November. In taking the nurses’ oath, they committed themselves to the service of humanity and to practice their profession with conscience and with dignity. The Department of Nursing Sciences in the Faculty of Health Sciences hosted the ceremony at the Seasons Events and Conference Centre. The guest speaker was Mr Senamela Seabelo, principal of the Garankuwa Nursing College, who gave an address titled, “Offering service of humanity beyond mediocrity in the cold working environment”. He reminded the attendees that they have dared to be different. “You have sacrificed your time, family time, friends and you have invested all in your studies, when others could not, either deliberately or because of circumstances. You have faced all the challenges, now you have reached that stage of reaping the fruits of success,” he said. Among the guests were Prof A Pienaar, the faculty coordinator, Ms S Molale, a clinical representative, Ms M Phakela from the Nursing Parents’ Forum and teaching staff in the Department of Nursing Sciences. Mr Isaac Makgaola with the students who received awards for excellence throughout their studies. 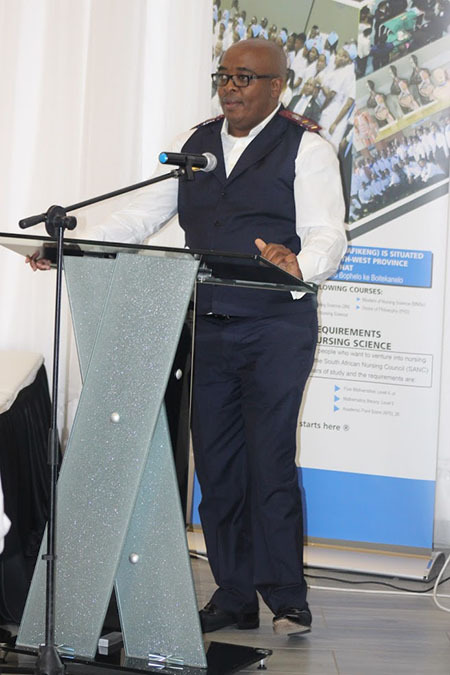 Mr Senamela Seabelo, principal of Garankuwa Nursing College, was the guest speaker during the oath-taking and awards ceremony of the final-year nursing students on the NWU’s campus in Mahikeng.